Look deeper at the story of Jacob and Esau and learn from Rabbi Isaac the powerful truth about the importance of the choices we make and how it is even more important than the Nature versus Nurture argument! Realize the power of God’s Spirit in your life to overcome sin through this amazing teaching on the generations of Abraham, Isaac and Jacob and learn the reason Esau lost the blessing of the firstborn and how his wrong choices not only affected him but his whole lineage down through the ages… even playing a part in end-time prophecy! 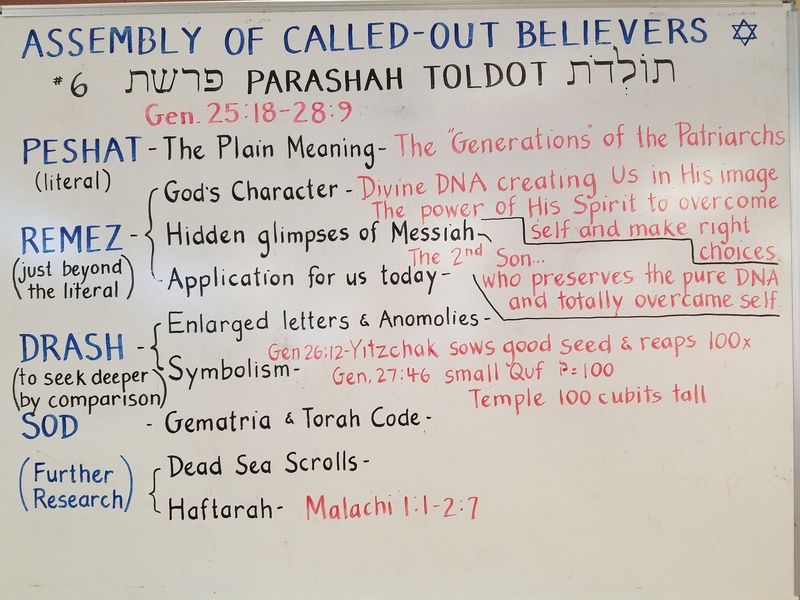 Toldot (תּוֹלְדֹת‎)— Hebrew for “generations” or “descendants,” it is the sixth weekly Torah portion(פָּרָשָׁה‎, parashah) in the annual cycle of Torah readings and the second word in the parashah. The parashah tells of the conflict between Jacob and Esau, Isaac’s passing off his wife Rebekah as his sister, and Isaac’s blessing of his sons and covers Genesis 25:19–28:9. This week’s haftorah opens with a mention of the tremendous love God harbors for the children of Jacob, and the retribution He will visit upon the children of Esau who persecuted their cousins. This follows the theme of this week’s Torah reading, whose two protagonists are Jacob and Esau. The haftorah ends with a strong enjoinder to the kohanim to return to the original covenant that God had made with their ancestor, Aaron the High Priest.